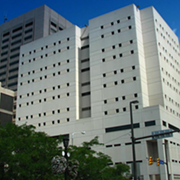 Fox 8 reports that Thursday night, an inmate at the Cuyahoga County Jail was rushed to the hospital after a suicide attempt. As of Friday morning, the inmate was still alive. This latest news comes after seven recent deaths at the county jail facility, which was the subject of a scathing U.S. Marshals report last month. That report chronicled a slew of unconstitutional and inhumane conditions. A civil rights lawsuit has been filed on behalf of the inmates. One of the concerns addressed in the report was chronic understaffing. Temporary lockdowns, or "Red Zones," were often enforced when insufficient correctional officers were present at the jail. During these lock downs, inmates were confined to their cells for 27 hours or more, during which they had no access to showers, phones, dayrooms or recreation. The report found that in one housing unit, the "Red Zone" system was in effect for 12 consecutive days. 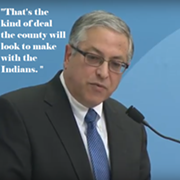 Cleveland.com's Adam Ferrise and Courtney Astolfi have produced some important reporting on conditions at the jail, including the inability of the county to attract qualified officer candidates. Those who do apply for positions sometimes don't make it through an initial probationary period. Low pay is another issue. The officers make only $15 per hour.